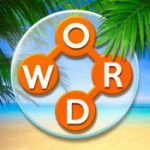 Wordscapes Formation Answers. This is a popular new game developed by PeopleFun Inc and the fun seems to never be stopping in this crossword-themed puzzle game. Since you have landed on this page then chances are you are stuck on Sunrise which is the second pack for Wordscapes. This pack Wordscapes Formation Answers contains 5 different categories.